After Dana and the girls left for work and school respectively, I decided I would take a hike. 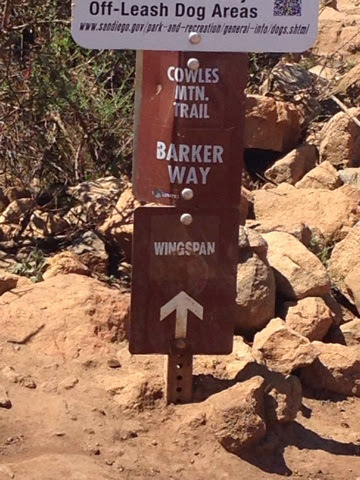 Every few days I like to hike and the last hike was in Tucson before the weekend. After working so hard to get to my hiking level I want to maintain it for when I get home I have some hikes in New England. 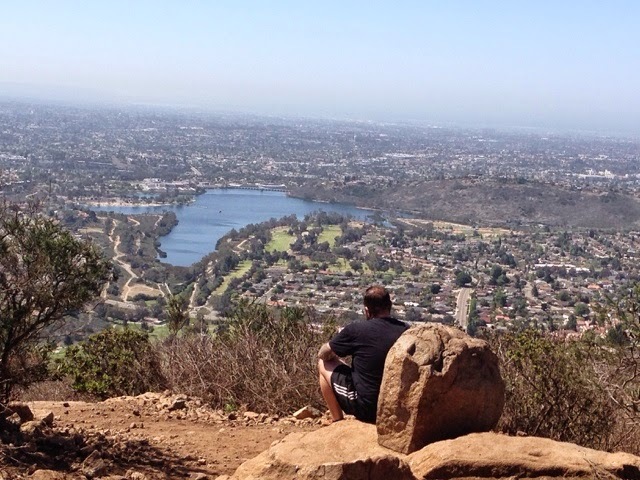 I decided to hike the well known Cowles Mountain Trail, that I have climbed before. 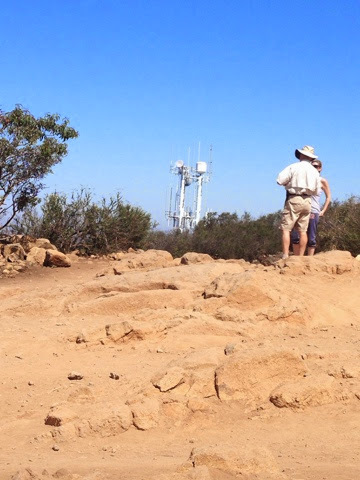 This is the highest mountain in San Diego. And one of the most well traveled trails I know of in the area. This is a strenuous hike where it just goes up and up about 1000 feet and it is close to population, which makes it convenient. It also is so well traveled you get to see all kinds of people. The people that climb this fall into 3 groups. Those that climb regularly by themselves and are on a mission to get the workout. This is the largest group. The second largest are those with dogs and the people who are with others and are having conversations as they walk. Lastly are people that clearly are just trying to start achieving a fitness goal. They are not overly prepared as you don't see them carrying water. They are sweating badly and breathing is heavy. It was in the mid 80's today and the trail has no shade. I saw a 60 something man who was overweight yesterday on his way up as I was on my way down and he was putting so much stress on his body that I wanted to advise him to go back and get water and to take his time and hike in segments. He was also overdressed keeping the heat in. My goal was to hike it without stopping on the way up to push myself. My goal was cut short by a phone call from Denise just shy of the top. The call was welcomed as she is spending time with our other son Brenton and family who are on vacation. I was just short of the top anyway. Tomorrow evening she flys into San Diego to arrive for Clayton's return. She arrives late so the girls will not get to see her until Wednesday am before school. I then got some time in to read and finish the book I had been reading and then stop at McDonalds for Iced Tea and download another book that I started reading later. I was going to play a disc golf course that was in the area of the hike. I saw the course on my disc application. It took a bit to find the course and when I got there it was in a public 9 hole golf course, with the disc baskets right off the green. I don't care to play so close to golf balls traveling past me, so I passed and tomorrow I will look to a better course. I met Dana and the girls at Costco before heading home for dinner. 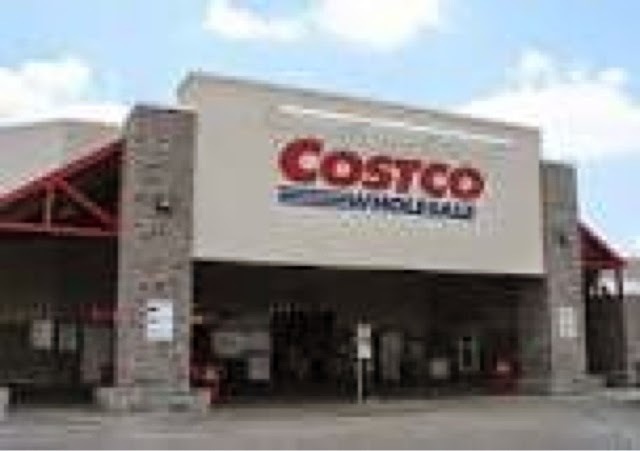 The girls get excited with going to Costco as they get to see all kinds of things but also get food samples was we make our way around the store. 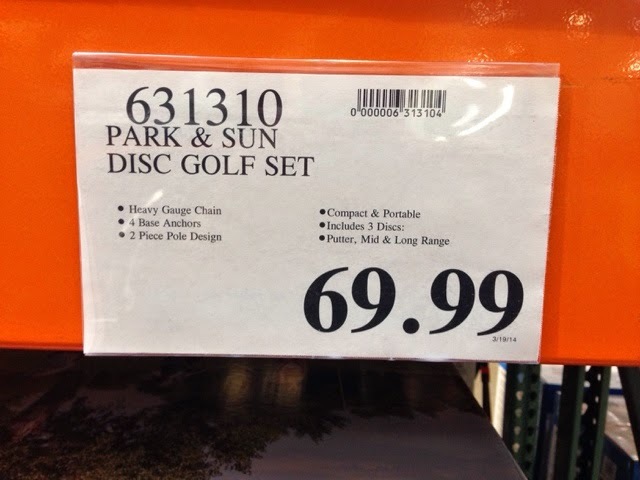 I have been writing about playing disc golf and even when I talk to people while on my trip most don't know what it is. 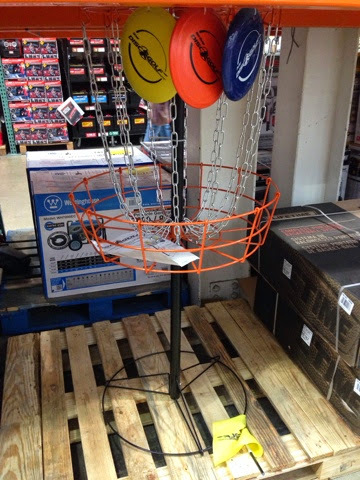 Well, disc golf is going mainstream as Costco is selling a portable basket. Yes it comes with 3 discs. Ok it's not the quality of an Invova professional basket, but they are very heavy and are planted in the ground. This basket can be set up and carried easily and isn't $300 like the professional one. The evening was spent playing games with the girls. I spend a good amour of time with the girls playing with them and I couldn't be happier.